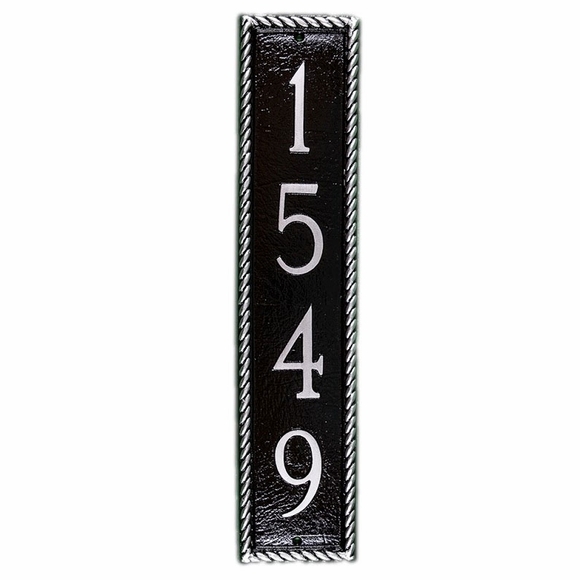 House Number Sign - - personalized column house number sign with thin rope border. Made in USA. Wall mount vertical address plaque fits into tall narrow spaces. Holds up to five (5) 3" numbers or seven (7) 2" numbers. Rust free cast aluminum coated with weather resistant paint.